BUILDING PROJECT BROCHURE – Page 1 (Front) and Page 2 (Back). Download Link Below. 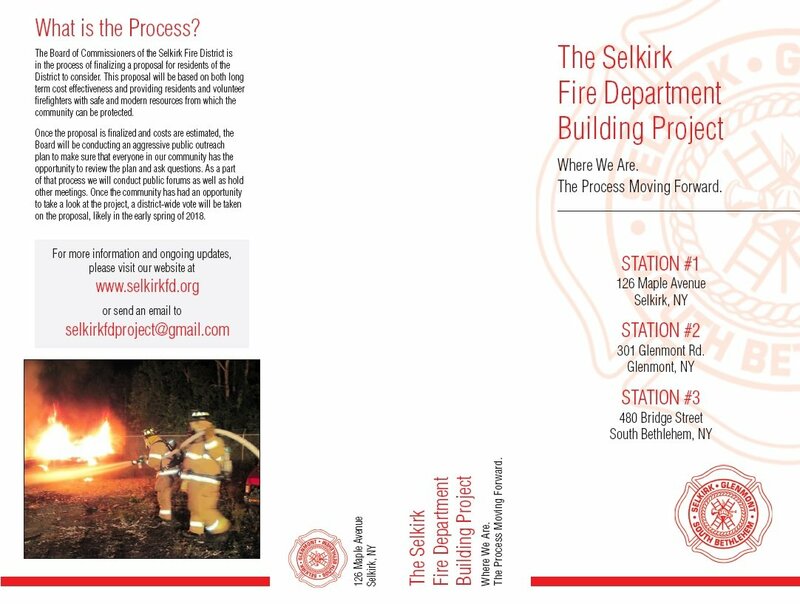 In September 2005 the Selkirk Fire District published the Selkirk Fire District 2010 Report. This report was created internally by several department members, with assistance from outside agencies. 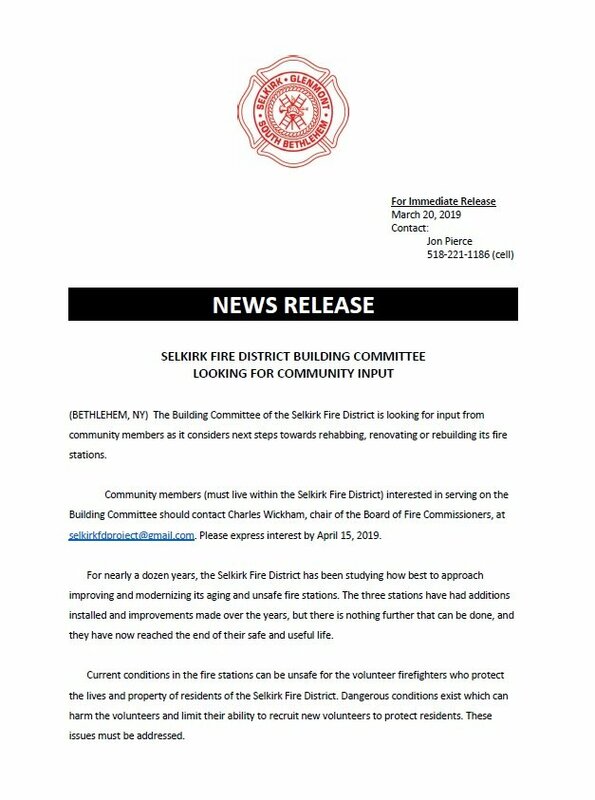 Using factual data, and months of information gathering, the committee brought forward recommendations on possible directions for the Selkirk Fire District to take so that it would be in a better position for the future. 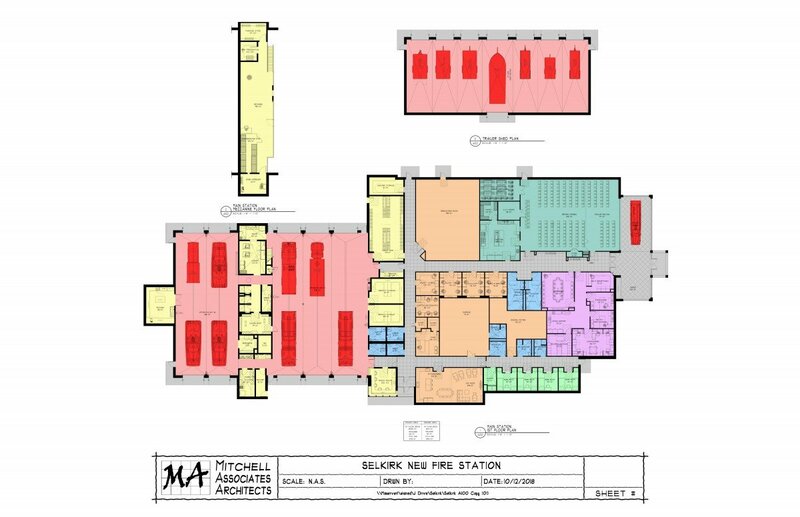 Some of those recommendations were followed, including the purchase of the parcel of land adjacent to the Selkirk Fire #2 firehouse, in Glenmont, between the firehouse, and the Town Squire Plaza. This land was purchased for future possible expansion of Station #2 in Glenmont. 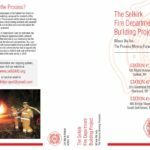 In late 2010 the Selkirk Fire District worked with the other Fire Districts, in the Town of Bethlehem, to begin the process of looking into ways that the five Fire Districts could do more together. They contracted with the Manitou group to help do an analysis of all of the departments, and help make recommendations on how their current operations could be improved and also obtain independent advice on ways to promote efficiency and maintain services in the future. 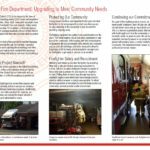 After over a year of the departments working together, with Manitou, via the Bethlehem Fire Districts Collaborative Task Force, the Manitou Study was published. A public presentation, discussing the report, and its findings, was held on November 30th, 2011, at the Bethlehem High School Auditorium. 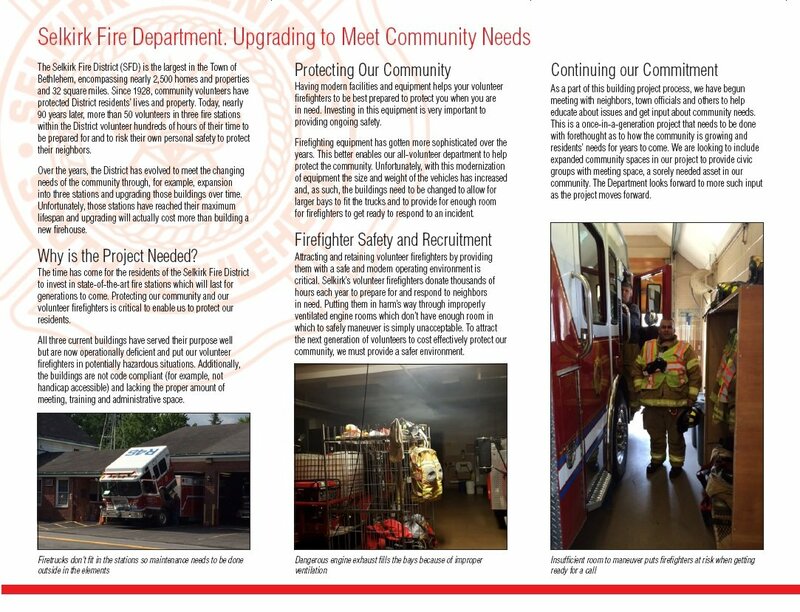 The Selkirk Fire District has taken the findings discussed in the report to help make important decisions in its maintaining of District operations, such as the purchase of a new replacement ladder truck (T40) in 2013, which was a demo model truck, and was less expensive than a custom ordered truck. 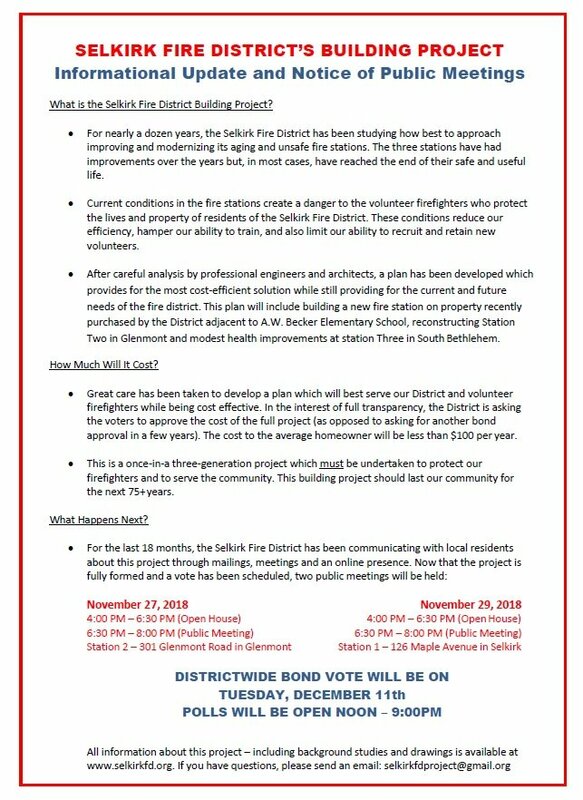 The Manitou study indicated that, based on various facts and criteria, that there should be an Aerial Truck at Station #2 in Glenmont, like there already was. 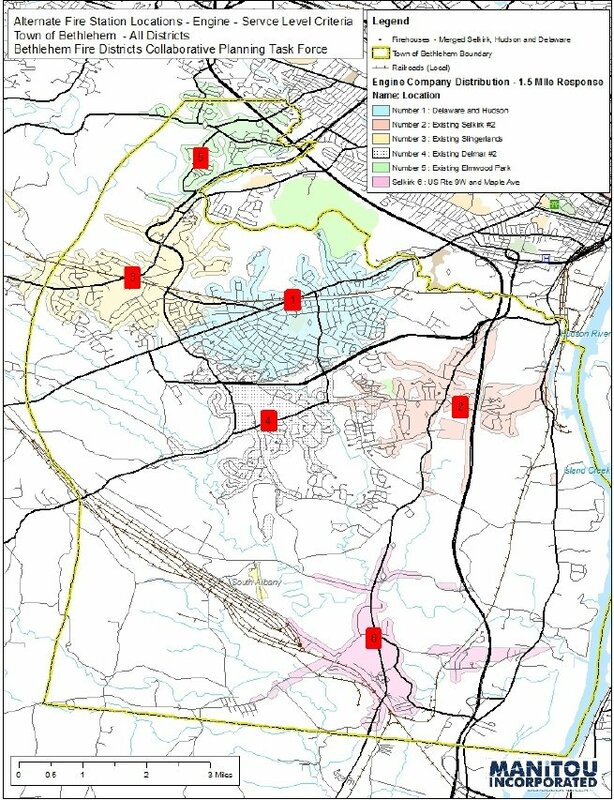 Also in the report, on page 156-157, it talks about fire station locations within the town, and specifically the idea pf putting a new station in the area of Rt. 9W & Maple Ave (Rt. 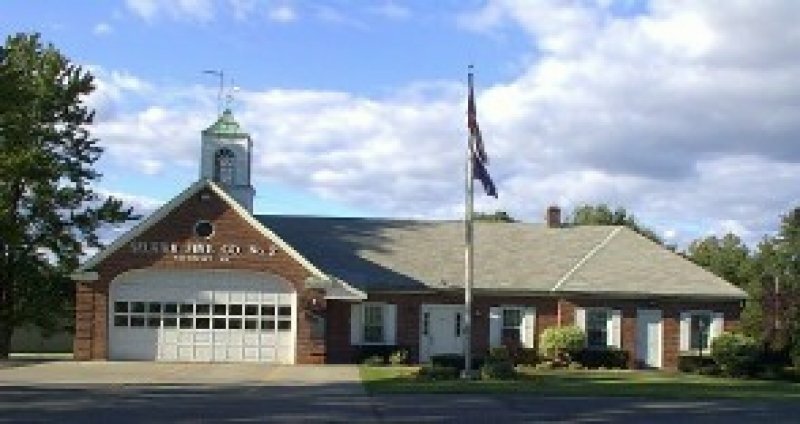 396), and consolidating Station #1 and #3, due to their locations and conditions. The image below is from page 157. 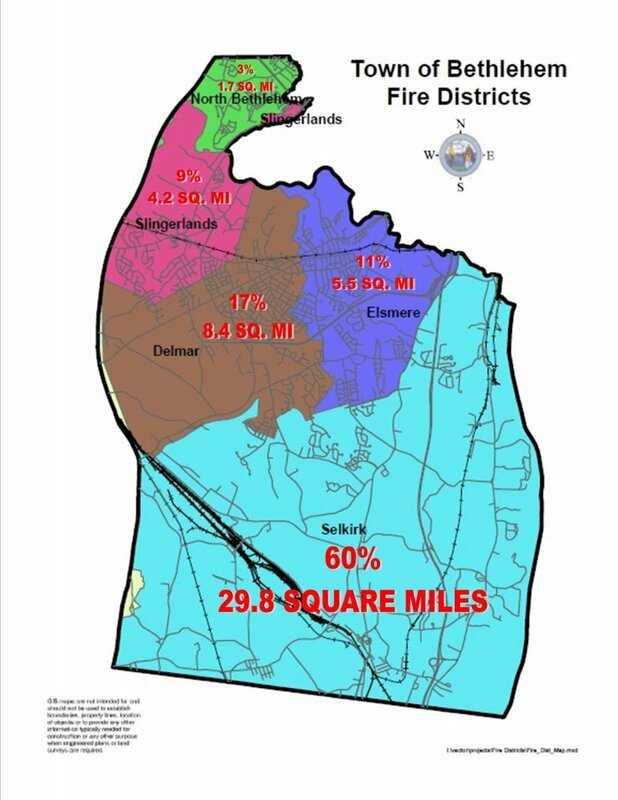 This was included to show that if a station was placed in this area that the Fire District would still be able to service the surrounding areas appropriately. 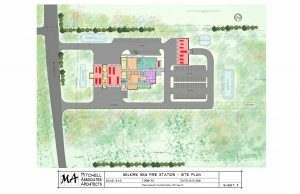 Not that this would be the Fire District’s future plan, but it would be possible to have a fire station in this location and not affect our ability to provide the level of service our residents expect. This proposed location was also chosen due to the increased amount of building growth in the center of the District. 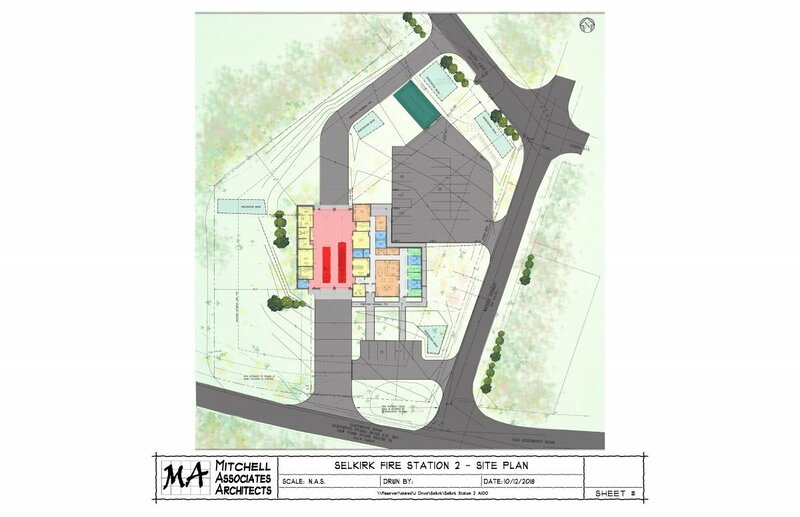 Using information from the Manitou Report, and because of the current conditions of our three main structures, the Selkirk Fire District began looking into a possible plan for our buildings. 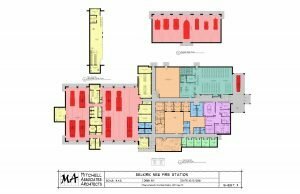 After reviewing several outside groups to assist with the building analysis the District contracted with the Mitchell Associates group. 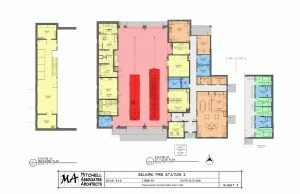 In late 2015 a new committee, the Facility Advisory Committee, was created to work Mitchell Associates on the analysis. 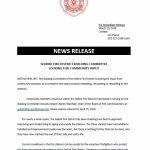 After 18 months the final report was submitted to the Board of Fire Commissioners for review. 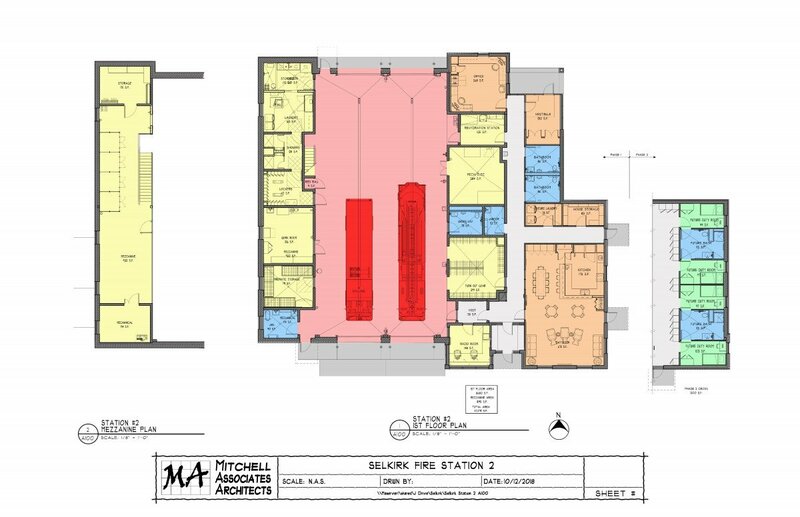 The Mitchell/FAC Report gives detailed overviews of the current conditions of the three fire stations, and various proposals/options on what the District can do to have structures that meet all current building codes, and NFPA compliance standards. All of the FAC Committee information below was provided here during the analysis phase. 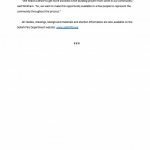 The following recommendations were proposed by the Facilities Advisory Committee, in this report to the Board Of Fire Commissioners. Immediately install ceiling-mounted, air-handling, exhaust mitigation systems in all three stations. Seek and acquire land on which to build a new headquarters station. 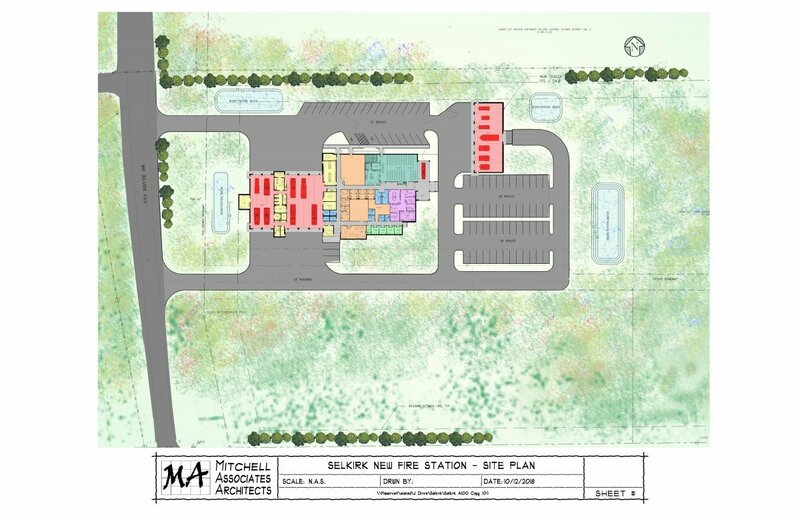 Build a new headquarters station to consolidate resources currently located at Station #1, #2, and #3 and house apparatus, administrative space, district-wide and public meeting space, and training. Retain Station #1 for storage until such time that it is deemed not needed, at which time it will be sold. 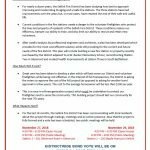 Reduce activity at Station #3 to a single apparatus station and use it for District storage as needed. Renovate Station #2 to comply with current code and safety standards. Form two new committees to carry out a project plan as determined by the Board: Building Committee and a Public Outreach Committee. 1. 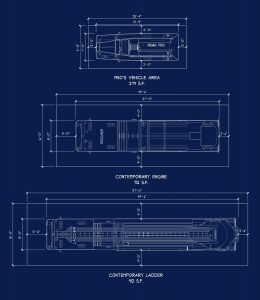 Exhaust System companies were contacted and quotes to install exhaust systems were reviewed. It was determined that the cost associated with installing exhaust systems in all three Stations was cost prohibitive at this time. 2. In November 2017 the District purchased property to the right of the A.W. Becker School in Selkirk. This 70+ acre parcel is in the very vicinity that was recommended, in the Manitou Study, as a possible location for a new Station. The purchase of the land was done using funds that were already in the Building and Grounds Reserve Fund. So no money was borrowed. 3. 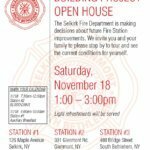 On November 18th, 2017 the District held a Build Project Open House from 1PM-3PM. 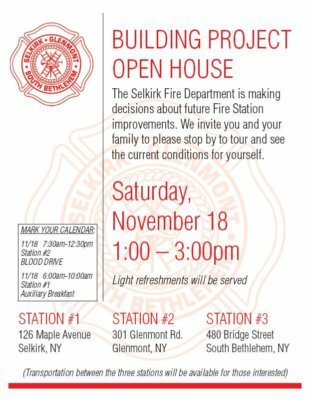 The purpose of the Open House was to allow the public to come into the three current fire stations and see the current conditions. 4. 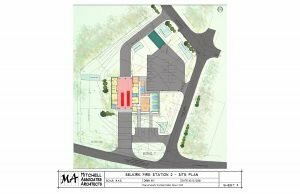 Finalize the details/plans on the new Headquarters Station on Rt. 9W and the replacement Station 2. 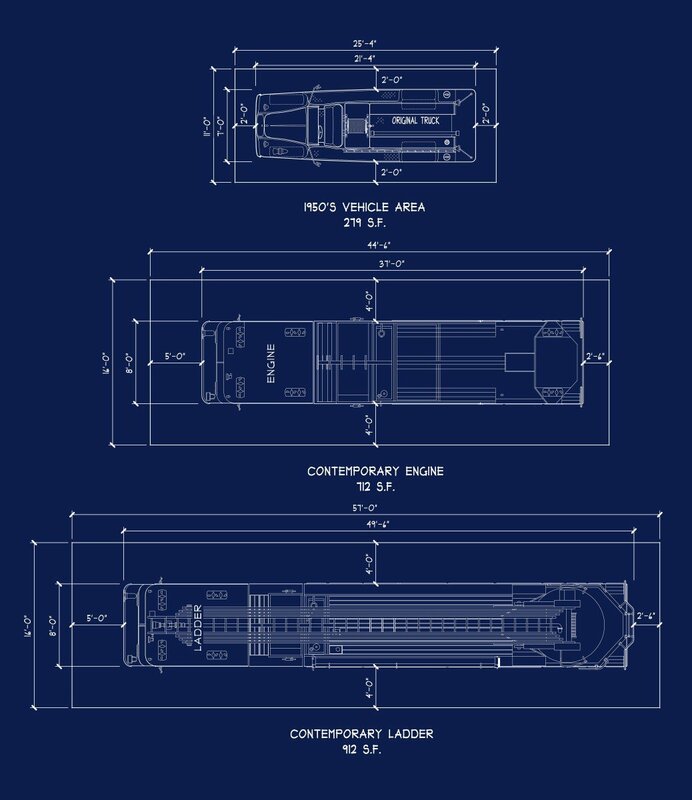 This includes the building plan, associated costs, etc..
5. 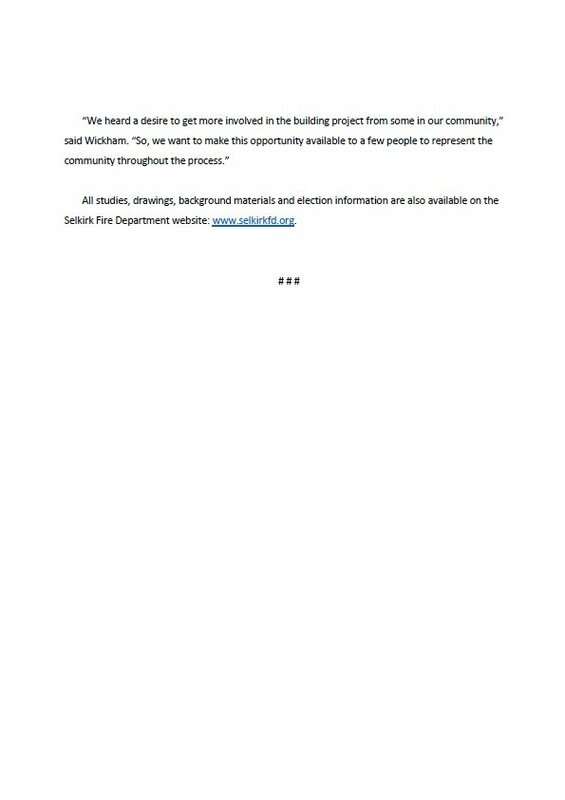 Hold Public Meetings/Open Houses. Times 4:00PM-6:30PM (Open House) / 6:30PM-8:00PM (Public Meeting). 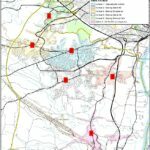 Locations Below.